Discover the best label printers for 2019 with pricing, features, and answers to common questions. 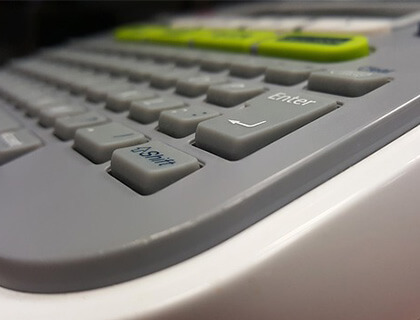 A label printer is a hand-held digital printer designed to print labels, barcodes, and receipts on self-adhesive paper, card, rolled stock, or tear sheet stock, which is used to identify and price items in shops. There are two types of label printers - direct thermal and thermal transfer label printers. What is the price range of a label printing machine? Label printing machines range between $99.00 and $2,500.00 or more, depending on the type of machine and your label printing needs. What is a label printer and how does it work? A label printer - also known as a label maker and label printing machine - is used for sticker printing and making tags, barcode labels, receipts, and roll labels for food packaging, clothing, and other goods. A commercial tag printer feeds rolled stock or tear sheet stock through the machine which uses a thermal printing mechanism to print out adhesive labels and price tags. Testo 0554 3100 Infrared Thermal Printer. SATO America High-Performance Thermal Printer. Testo 0554 0549 IR Thermal Printer with Wireless Infrared Interface. Doran 63OPT23 Thermal Label Printer and Printer Cable. What's the difference between a direct thermal and thermal transfer label printer? Both direct thermal printers and thermal transfer label printers use a thermal printhead to apply heat to the surface of roll or card stock. A thermal transfer label printer applies heat to a ribbon made of wax or resin which melts onto the tag or paper surface to create an image, otherwise known as thermal transfer labels. A direct thermal label machine, or thermal label printer, uses chemically treated, heat sensitive media that darkens when it passes under the thermal printhead. Direct thermal printers do not require ink, toner, or ribbon to work. How do I choose between direct thermal and thermal transfer label printers for custom label printing? This depends on the volume of labels you require and your business needs. Most direct thermal printers are easy to use, and cost less than thermal transfer printers, inkjet and laser printers. 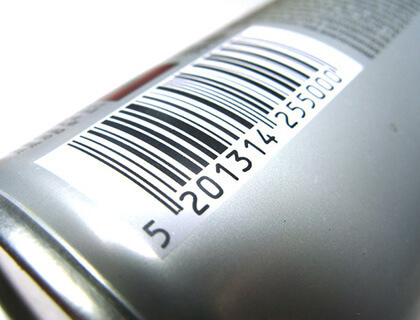 If you need to print simple barcode labels for temporary use, or receipts, we recommend going for a direct thermal printer. However, if you need to create more durable and stylish price tags or labels, a thermal transfer printer is best for your needs. Brady BMP21-PLUS 139535 Handheld Label Printer. Doran 63OPT23 Thermal Label Printer (Non-Washdown) and Printer Cable. Garvey G1812-06001 Small Body One Line Labeler 1812-6 Layout #1601. Brady BMP61-W 146226 BMP61 Labeling System with WiFi. Do I need to connect my label printer to a PC or desktop? No, most label printers are wireless. WiFi and Bluetooth-enabled label printers allow you to easily print labels via your smartphone, PC, or tablet. Can a label maker print in different colors? Yes and no. Direct thermal printers only print in black, while thermal transfer label printers are able to print in a wide range of colors.